This Tri-State Health Insurance Company of Minnesota Review will mostly discuss the company that it is a member of, Continental Western Group, whose parent company is Berkley. The main types of insurance it offers include a full line of business products, which are offered through independent agents. Although Tri-State and Continental Western Group do not sell health insurance, you can compare health insurance quotes for a number of different companies right now by filling in your zip code. Tri-State Insurance Company of Minnesota sells insurance products under the Continental Western Group. Continental Western Group has its headquarters in Des Moines, Iowa and it has offices throughout the Midwest. There are a number of advantages for choosing Tri-State and Continental Western Group for your insurance needs. Continental Western Group has the backing of the Berkley Corporation, which is a multi-billion dollar insurance group that has produced some of the greatest financial records in the insurance industry. The financial strength of the Continental Western Group companies is extremely strong. Standard & Poor’s and A.M. Best have both given them a rating of A+, or superior. For more details check out http://www.standardandpoors.com/home/en/us. Another advantage of choosing the Continental Western Group for your business insurance needs is that it is a very stable company. Throughout market cycles and fluctuations, Continental Western Group has performed dependable, steady, and values-driven service and performance. Their product lines have all been well researched with your business’s stability in mind. 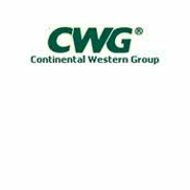 Continental Western Group has been around for more than 100 years and has served countless businesses and communities in the Midwest. Finally, Continental Western Group and its companies are focused on service. They are committed to serve throughout your policy’s life and they are prompt and fair with the treatment off all customer transactions. The employees who work for Continental Western Group are high quality professionals. They are knowledgeable and friendly when dealing with loss control, customer-responsive claims, underwriting and audit services. The independent agents who sell the products from Continental Western Group are also focused on delivering great service. They are high quality agents who can help you with all of your commercial insurance needs. Tri-State and Continental Western Group believe in helping the communities they work and live in. They support multiple charitable organizations via their partnership with the Charitable Foundation of the Berkley Corporation. They choose to fund programs that demonstrate efficiency by minimizing administrative costs while maximizing goals. They also fund programs based on those that have company volunteers’ support as well as those that advance the well-being of their community and employees. If you are a charitable organization organized under 501(c) (3) and would like to request grant funds, you can apply for them through the website. A team from Continental Western Group reviews the requests three times a year in January, April, and August. Only one donation for each chosen organization is granted in the year, but there is no size restriction to the fund request. The letter can be sent to either the home office or one of the regional offices. You can search for and compare health insurance rates right now just be filling in your zip code.